The pNeuton mini is a small, lightweight pneumatic transport ventilator designed for use on neonates to pediatric in size (400 gram to 25 kg). It is a time cycled, flow limited ventilator. Provide oxygen or a mixture of medical air and oxygen. Oxygen delivered is adjustable from 21-100 percent. The pNeuton mini is a pneumatic ventilator. Owing to its design, there are no MRI artifacts seen generally with electronic devices. 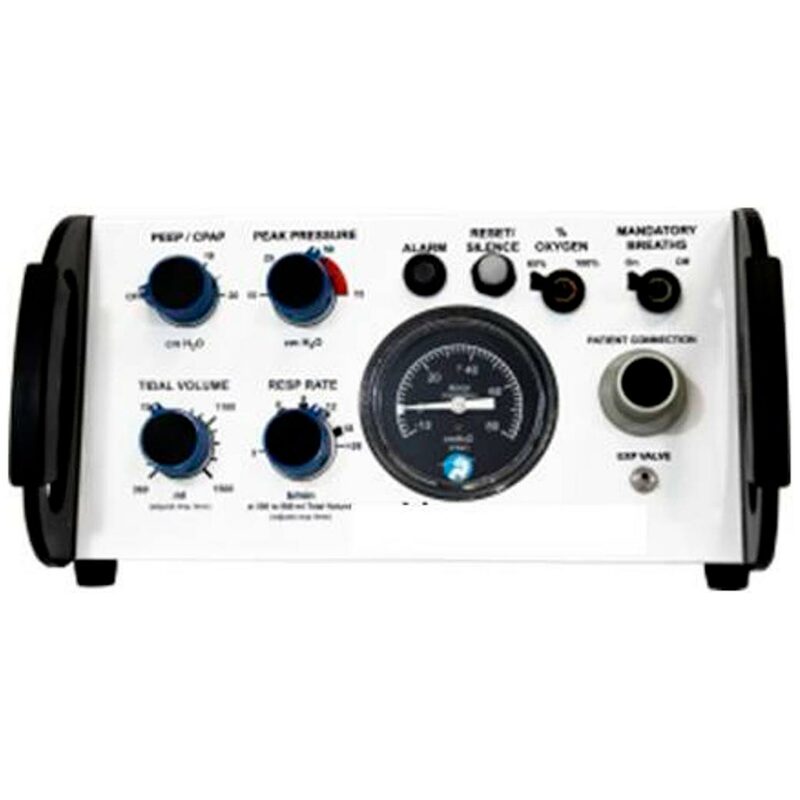 The pNeuton mini is powered by the air/oxygen tank pressure during transport and via the air/oxygen outlets available within the MRI exam room. Switching between the tanks and the outlets is possible within seconds with the use of quick connect-disconnect hoses. The pNeuton is intended for neonates, infants and children, from 400gram to 25 kg total body weight. Not specified. It depends on the baby’s body weight, see ‘Coverage’ above.